Can you believe summer is nearing it’s end and the school year has just started for most?! Anyone else feel like that happened in the blink of an eye? Slow down year! 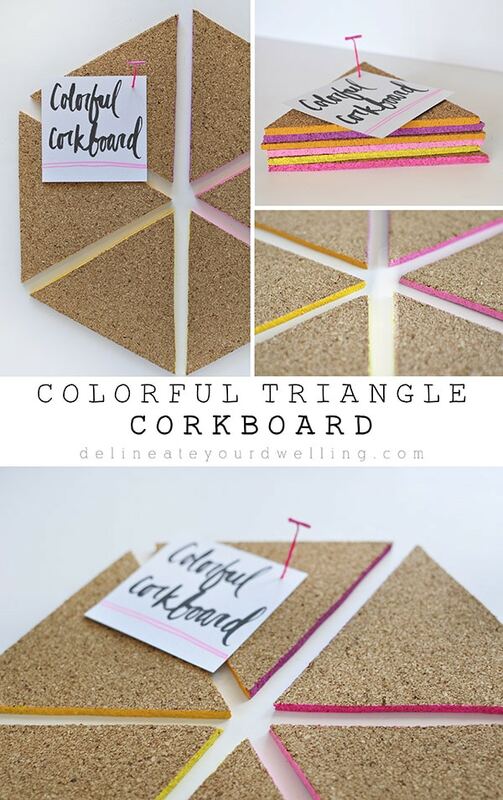 I’m excited to share with you today an Easy Colorful Triangle Corkboard project. It’s perfect for keeping organized during the school year while staying on trend, too! 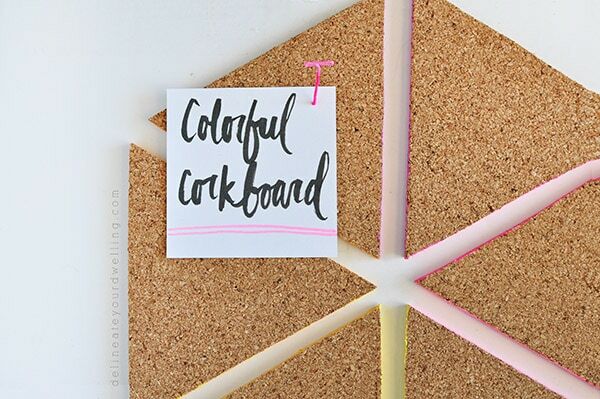 I drew out thin lines using a thin metal ruler and a marker on the backside of my cork board. Even though cork cuts very easily, be careful about fingers! It’s not difficult at all to cut using an x.acto knife. 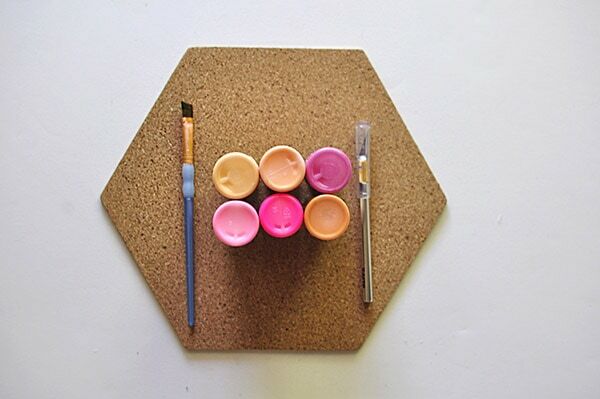 Next, layout the triangles in their original hexagon pattern and decided the order of your paint colors. I painted each side that touched in the same color. I gave each edge two coats and then allowed to dry. Once everything was dry, I used *Command Poster Adhesive Strip to secure to the wall. I love how the colors bounce off each other and almost seem to glow on the wall. And how gorgeous are the triangles when stacked on top of each other? 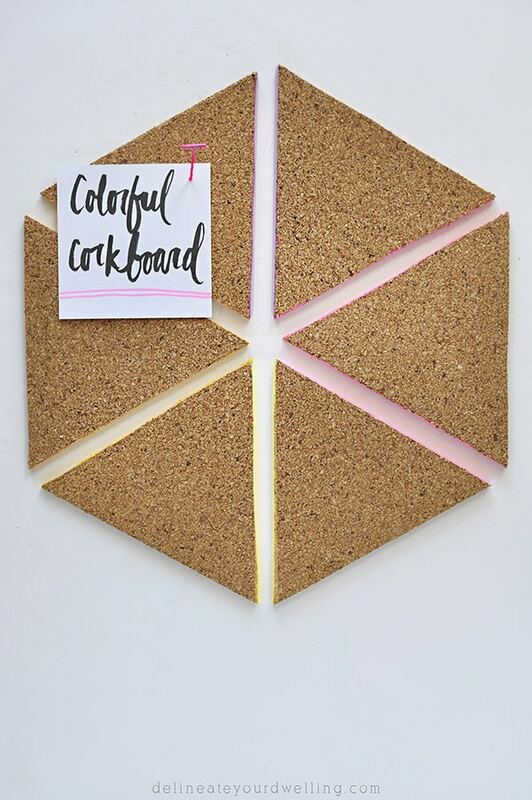 I’m so in love with this easy Colorful Triangle Cork Board! 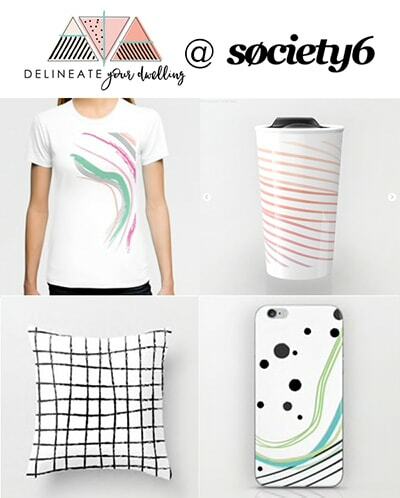 This post was originally shared as a contributor post for Place of My Taste. I love the geometric pattern of this, so cute! Oh goodness. Thank you for stopping by today and commenting, Ashley! They are so cute! 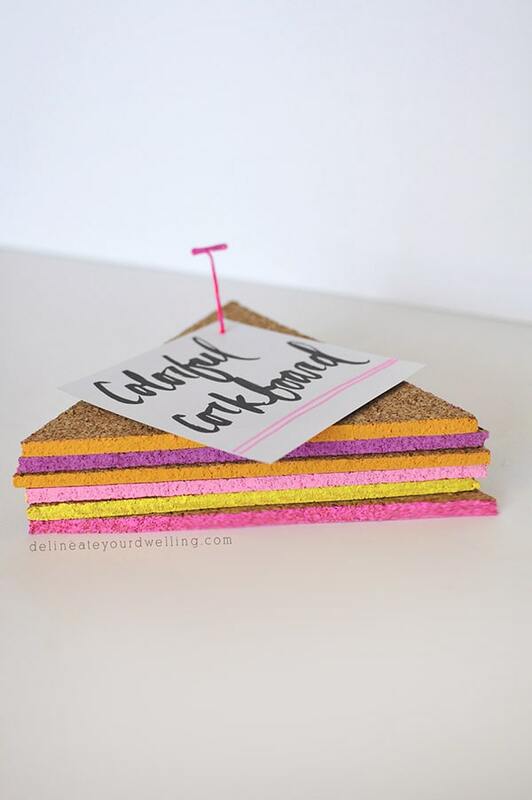 They’re very easy to make with those fun colors. 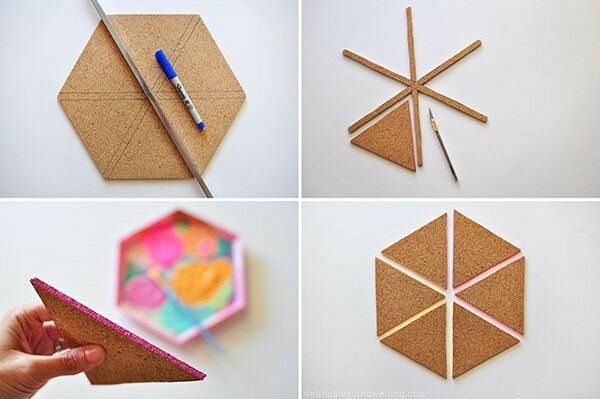 Great activity for kids, too! 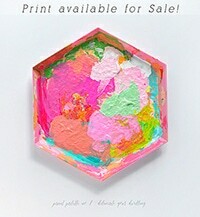 Yes, this would fun project is going to go in my little girl’s room! I love how subtle the bright colors come across painted down the sides like that! Thanks! That was an unexpected color surprise… very subtle but definitely a mini glow going on! I’m just living through my two preschoolers to get my “back to school” fix. ha! I love the pops of color on the sides, really pretty! 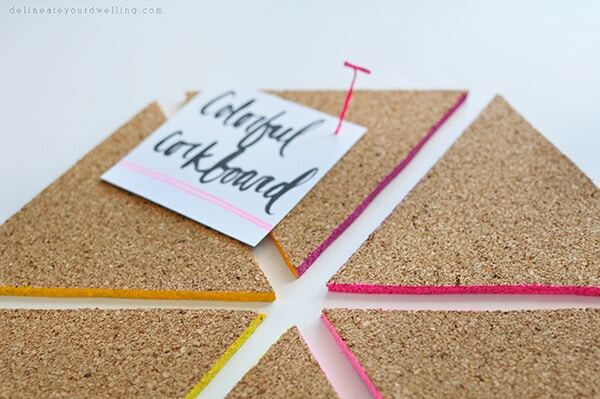 I love the colored edge- so simple but a perfect touch! !